IISD Reporting Services (IISD RS) is producing daily reports of selected side events of this meeting starting on Monday, 7 December 2009. 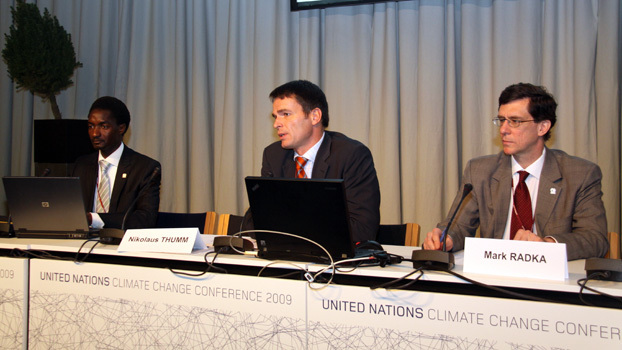 L-R: Moustapha Kamal Gueye, UNEP; Nikolas Thumm, EPO; and Mark Radka, UNEP. 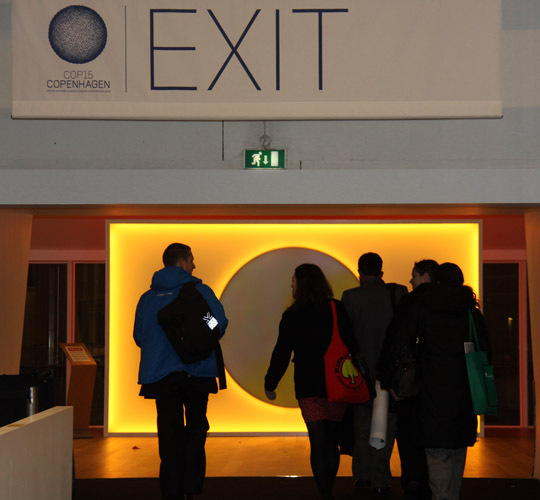 This event described preliminary results of research conducted by the EPO, UNEP and the International Center for Trade and Sustainable Development (ICTSD) to understand the relationship between patents and the development and transfer of climate change mitigation technologies (CCMTs). 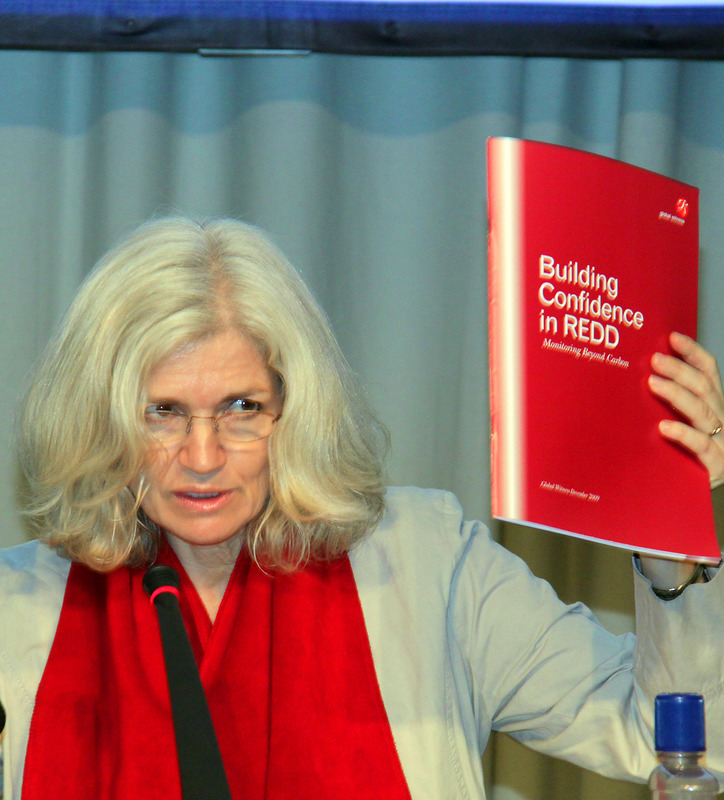 The research will be presented in a synthesis report in Spring, 2010. Nikolas Thumm, EPO, explained that the research aimed to understand when intellectual property rights (IPRs) are and are not a barrier to the transfer of CCMTs, and that it investigated in particular: general use of patents; access to technologies; licensing; and technology transfer. 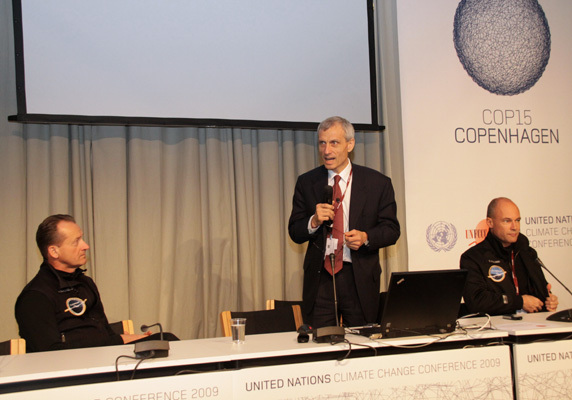 He noted that UNFCCC Executive Secretary, Yvo de Boer, had called for better understanding of these issues at the 2008 European Patent Forum. 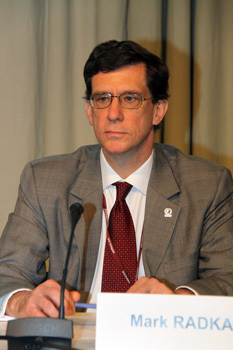 Mark Radka, UNEP, highlighted the importance of the research, stating that societies are increasingly involved in a “knowledge economy.” He argued that perspectives regarding IPRs are increasingly polarized between those who believe that strong IPRs and patent regimes are necessary to stimulate innovation, and those who believe that access to new technologies is costly and difficult and that IPR regimes must therefore be relaxed to disseminate technologies as quickly as possible. He said this polarization is evident in the climate change negotiations, where much of the draft text on this topic remains bracketed. 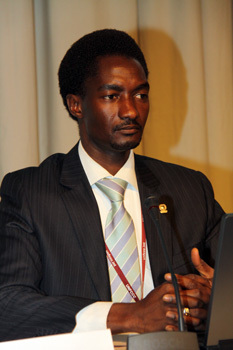 Moustapha Kamal Gueye, UNEP, speaking as a representative from ICTSD, described ICTSD’s role in the research. He said they first looked at specific sectors, namely wind, solar and biomass, and concluded that the implication of IPRs on technology dissemination differs by sector. In a subsequent phase, he noted, ICTSD used a more systematic approach to examine IPRs related to energy, buildings, transport and industry/agriculture. On the impacts of patents on technology transfer, he said compulsory licensing is an issue only if the owners of patented CCMTs are not willing to license their technologies. He noted the potential role of a multilateral fund to pay for licenses if the costs of the licenses were prohibitive. Thumm highlighted the challenges of conducting the research, including that there are currently no classes in the international patent classification to group and analyse data for CCMTs. He then described a classification system that they developed in an early stage of the research and that could, after further development, be used in the future to identify and tag new CCMTs. Participants then examined preliminary results of statistical analysis linking patents to technology transfer dissemination as well as the impact of the Kyoto Protocol and other drivers, such as increasing oil prices, on patenting and CCMT dissemination. Moustapha Kamal Gueye, UNEP, speaking on behalf of ICTSD, said climate change policy makers can learn a great deal about IPRs and technology dissemination from the Montreal Protocol. 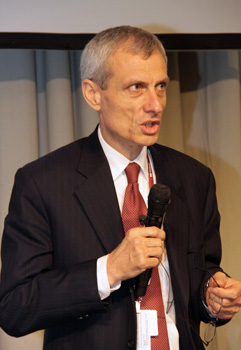 Nikolas Thumm, EPO, stated that the five major “inventing” countries are Japan, the US, Germany, Korea and France. Mark Radka, UNEP, said knowledge is increasingly a factor of production alongside the more traditional forms of land, labour and capital. L-R: André Borschberg, Switzerland; Thomas Kolly, Switzerland; and Bertrand Piccard, Switzerland. In this session, panelists presented the Solar Impulse solar-powered airplane project, and detailed its technological and design innovations. Recounting the myth of Icarus and his attempts to fly to the sun, Thomas Kolly, Switzerland, presenting on behalf of Moritz Leuenberger, Switzerland, introduced the Solar Impulse project. He said the project is a way to translate Icarus’ dream of flying without fossil fuels, exhaust or noise into reality. 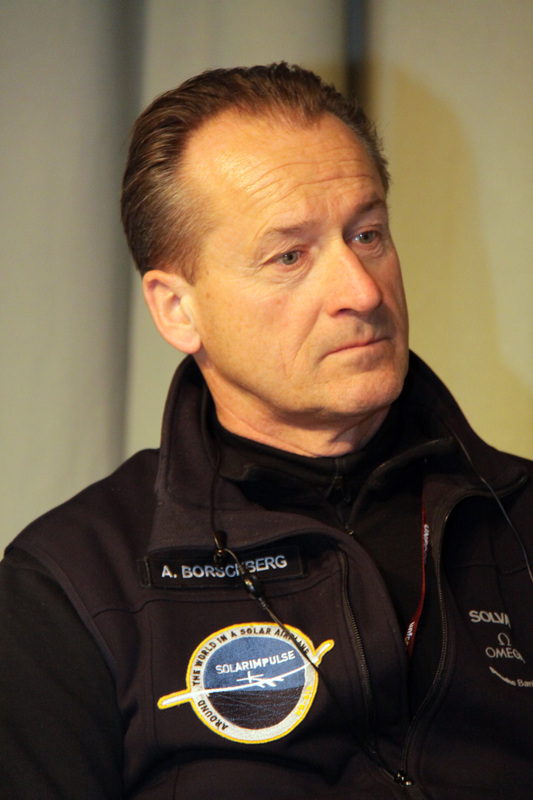 He pointed to André Borschberg, Switzerland, and Bertrand Piccard, Switzerland, who he said demonstrate in concrete terms what is possible in combating climate change. Detailing the pilots’ plans to fly a solar powered aircraft he said it was possible to travel in a sustainable manner without exhausting the world’s resources, and that such plans require visionaries. Bertrand Piccard, Switzerland, said protecting the environment is “not just the feat of politics but the feat of scientists,” explaining that the “new adventure” for the 21st century is about how to get rid of fossil fuels. He described the Solar Impulse project, noting its goal to fly around the world in a solar powered airplane. He said the plane would take off using solar energy stored in its batteries, climb to 27,000 feet and run on solar energy. He emphasized that the sole goal for the pilot is to reach the next sunrise before the batteries are empty. André Borschberg, Switzerland, explained that 35kg of the “best batteries” are required for the energy density stored in 1kg of fuel, noting that the Solar Impulse project therefore focuses on energy savings. He outlined the weight-saving design and new materials involved in building their prototype planes, and described dual strategies of storing energy in batteries and at altitude by adjusting flight patterns. Calling the first test flight on 3 December 2009 a small but “most important” flight, he noted plans in 2010 for flying through the night, and future plans for a multi-stage round-the-world flight. Bertrand Piccard, Switzerland, emphasized that the Solar Impulse project is an “extreme demonstration” of what can be achieved today with the technologies we already have. The presenters then showed a short film documenting the production of the aircraft. In discussion, participants considered, among other things, energy efficiency, diversification and the need for new technologies and behavioral changes. Amb. 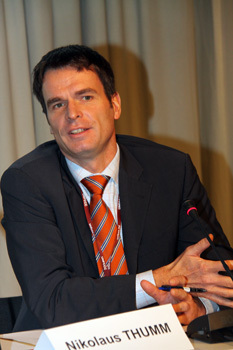 Viktor Christen, Switzerland, concluded the session. André Borschberg, Switzerland, reiterated the problem of flying between the hours of 3pm and 10am, and said the potential, rather than limits, of solar technology would demonstrated by flying through the night. Thomas Kolly, Switzerland, said damage from unsustainable transportation will cost far more than investments in technology and renewable energy. 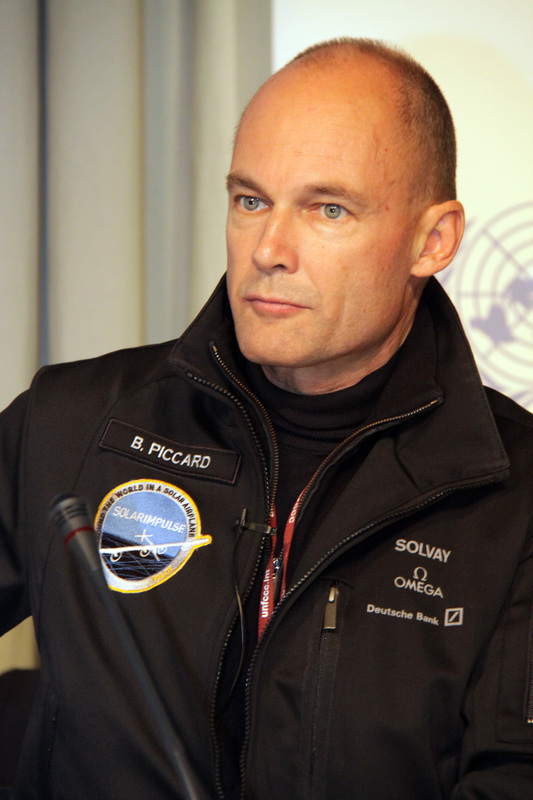 Bertrand Piccard, Switzerland, said “pioneers are not the ones who are always successful, they are the ones who are not afraid of failure,” stressing that Solar Impulse’s goal is not to make a revolution in aeronautics but to make a revolution in behavior. 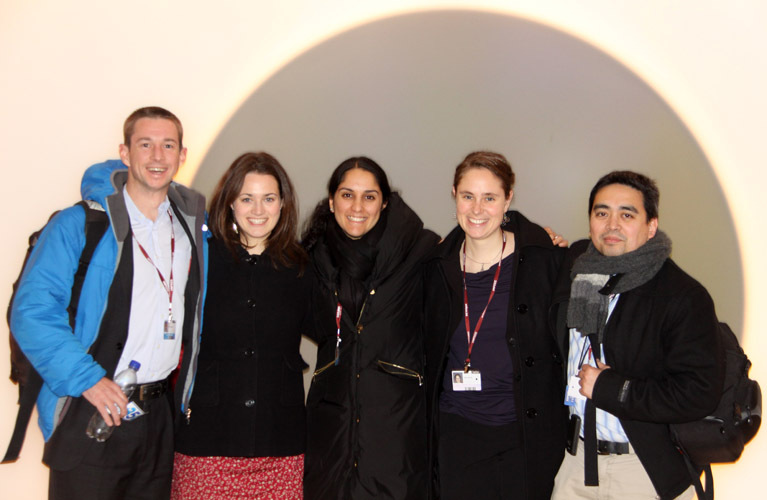 IISD-RS ENBOTS Team: Harry Jonas (UK); Alexandra Conliffe (Canada); Sikina Jinnah (US); Kate Neville (Canada); and Franz Dejon (the Philippines).